No, not Hasselhoff. We’re talking about delicious, mouth-watering treats all the way from Sweden, to you. And as usual, we’ve made our own variation with seasoned oil instead of butter. Quick and easy to make! 1. Preheat the oven to 220 degrees Celcius. 2. Peel the potatoes and cut them in half longways. 3. 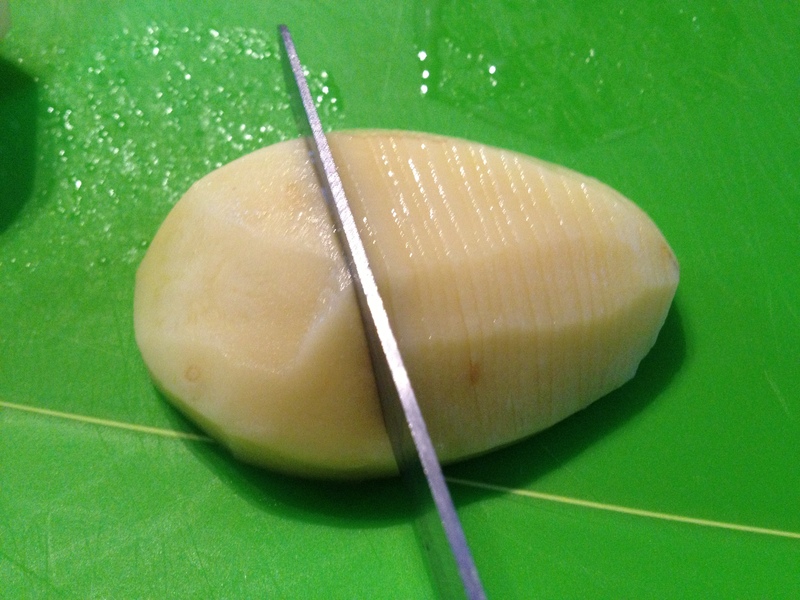 Using a small knife (use a knife that is not so precise, rather one that is a bit serrated…something between a steak knife and a dinner knife), and cut fine, vertical slits almost all the way through, into the rounded side of the potato. A tip that I read online is to put the potato half into a spoon and then slice. The knife won’t cut all the way through! 4. Rinse the potatoes in cool water to get rid of any starch that may try to keep the potato from fanning out while in the oven. 5. Put the sliced potatoes into a large bowl. Add olive oil/melted butter, paprika seasoning (to taste, about 2 heaped tablespoons – depending on how many guests), sea salt and pepper and stir through, coating each potato. 6. 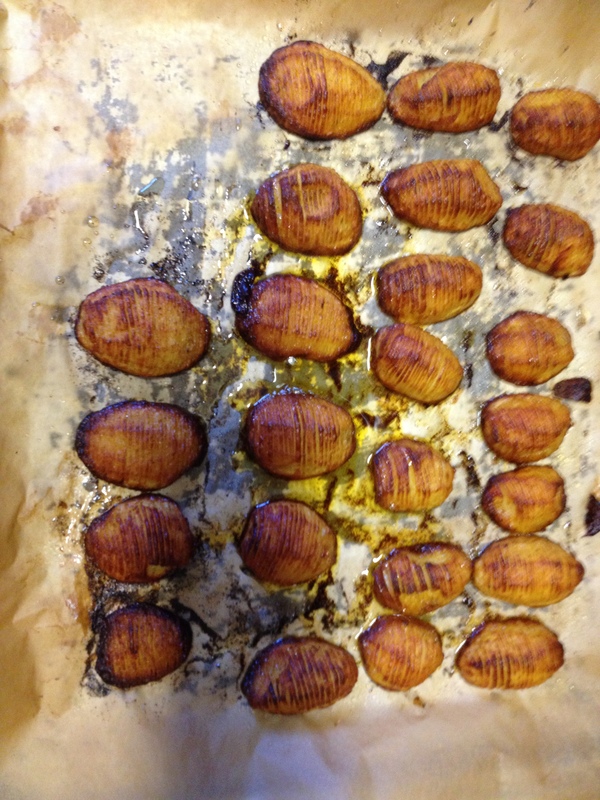 Lay out the potatoes on a baking sheet on an oven tray, sliced side up. The grill function can be used to make sure the potatoes get a crispy surface. 7. Put the potatoes in for about 40 minutes, brushing on any extra oil/butter seasoning when the potatoes start to look dry. 8. 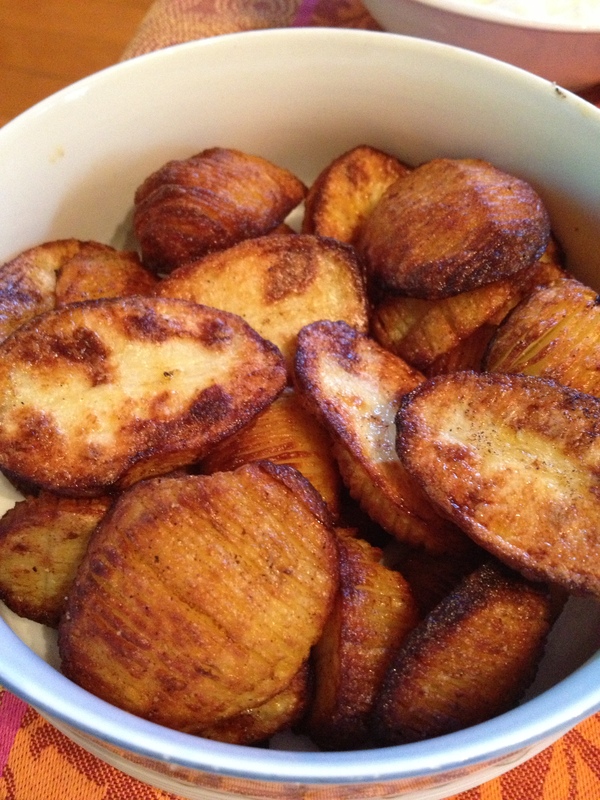 Can be served with sour cream mixed with chopped up herbs. 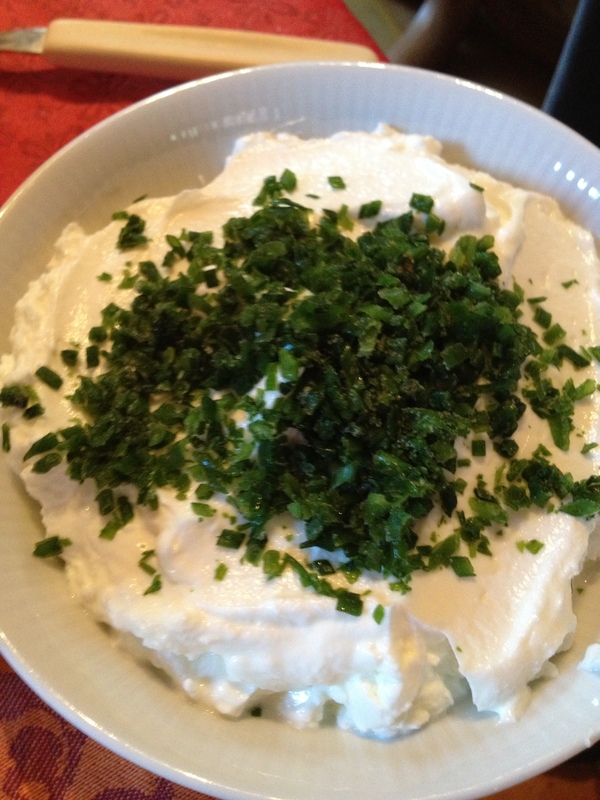 We used something called Quark (never heard of it until I came to Germany, but it’s similar to sour cream, only with less flavour) chives and greek seasoning for ours. 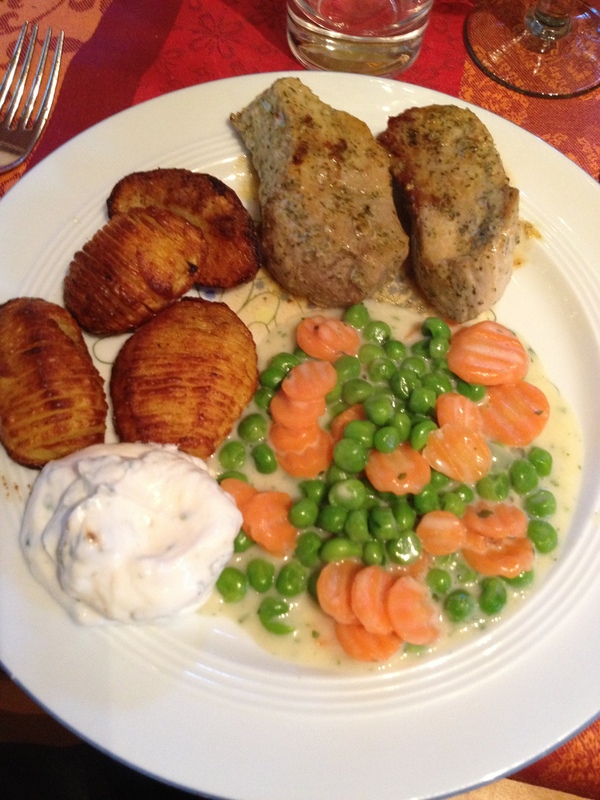 We then used the Hasselback potatoes as a side dish to our pork and served it with veggies. Pingback: Welcome to new friends: Shaun, Stephanie, and Justin Kok (and Michael Justin)– KOKSTARS | Hey Sweetheart, Get Me Rewrite!